Would you all like to start off your day with a slice of warm, spiced pumpkin oatmeal bake topped with large scoop of butter and drizzled with maple syrup? My family loves a good baked oatmeal. It’s a frugal, hearty & nourishing way to start off our day… plus, the leftovers make great snacks, warm & cold. Baked oatmeal is awesome for making my mornings easy, especially on busy days or when I need a little extra sleep. 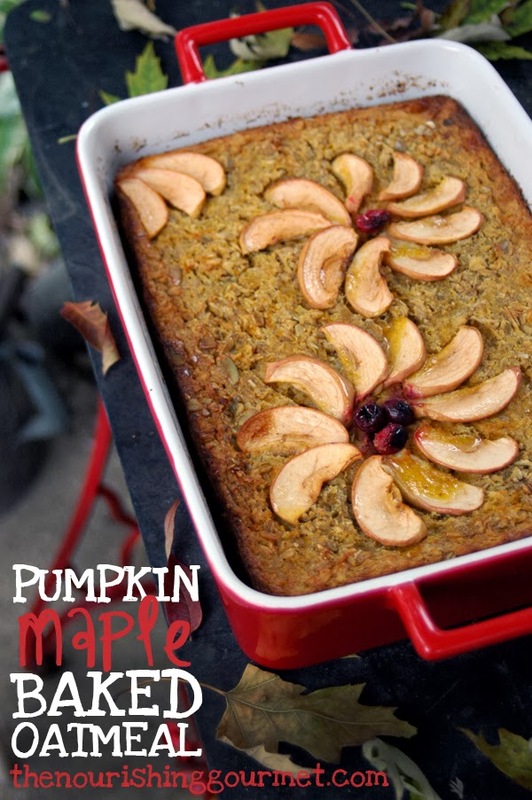 I am sharing this yummy Pumpkin Maple Baked Oatmeal over at The Nourishing Gourmet. If Pumpkin Maple doesn’t sound appealing to you… how about trying Spiced Cranberry Apple or Strawberry Pineapple. These two, along with Pumpkin Maple, are our favorites! 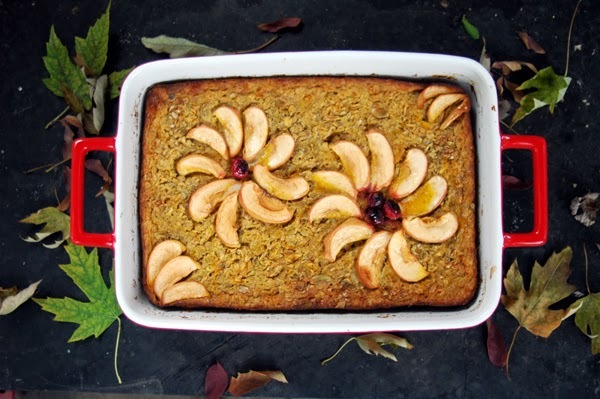 Have a wonderful week and enjoy your slice of Maple Pumpkin oatmeal bake! Made this a few days ago, and shared on facebook. Oh my goodness – I absolutely love this oatmeal bake. It was wonderful. Thank you so much for sharing. Getting ready to start soaking my oats for the pineapple strawberry oatmeal bake for tomorrow’s breakfast! Wonderful!! So glad you enjoyed it 🙂 Thank you for sharing on facebook. Enjoy the pineapple strawberry, I just made some for tomorrow’s breakfast too!